Restricting calories decreases resting metabolic rate. Some calories can lead to disease more than others. Food labels are at least 10% inaccurate. Not all calories are utilized. Not all foods are equal. Calorie counting for weight loss is one of the most common nutrition myths! If it were truly that simple, anyone with a calculator could become a weight loss coach, and there would be very few overweight people. Now let me point out that “weight loss” is rather a generic term. Weight loss covers losing mass from any of the following: water, body fat, muscle tissue, glycogen, bone mass, organ mass, etc. Weight loss literally means that you simply lost “weight”. This is absolutely not a measure of fat loss. Targeted weight loss using a weight loss nutrition plan should specifically aim to reduce excess body fat stores rather than just losing mass from other tissues and areas. The most common approach to burning fat is reducing calorific intake, and/or supplementing with a thermogenic fat burner such as DNA Lean Thermo-XY. While the use of fat burning supplements can be effective, merely restricting calories is not specific enough to target the right kind of weight loss. For an individual consuming three thousand calories daily whose energy balance, and thus body weight, is maintained, reducing daily calorific intake by five hundred calories will lead to a weekly deficit of three thousand five hundred calories. Three hundred and eighty-eight grams of dehydrated fat would equate to around one pound of actual body fat; body fat is around fifteen percent water. Therefore reducing daily calorific intake by five hundred calories should, in theory, lead to around one pound of fat loss per week. While on paper this may look good, in practice science shows this to be inaccurate. A calorie is purely and simply a measure of heat energy. The actual word calorie is derived from the Latin word – Calor, meaning heat. The unfaithful calorie was first defined by French chemist Professor Nicolas Clément in 1824. Professor Clement, who at that time was heavily involved in industrial chemistry research for powering steam engines, wanted to calculate the maximum amount of energy that one kilogram of coal could provide. Clement’s research led him down the path to becoming the first person to create a standard definition of a calorie: the heat energy required to increase one kilogram of water by one degree C. Since then other standards have been defined, including the joule-calorie. A calorie is an absolute measure of how much heat energy a foodstuff, or anything else for that matter, actually contains. It does not provide any information or metrics regarding its effects on metabolism, nutrient absorption or how a calorie is likely to affect overall health. Ergo all calories are not equal. Since 1824 this outdated and inaccurate calorie science has worked its way into our food labeling, food science, and even our educational system. We are constantly taught that obesity is a cause of eating too much and exercising too little. 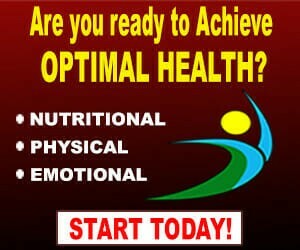 Eat the right calorific energy balance and you will lose weight. It is bamboozling how we are still using knowledge and information from science that is almost two hundred years old. Modern science clearly shows that it is impossible, at this time anyway, to accurately calculate calories and “energy balance”. 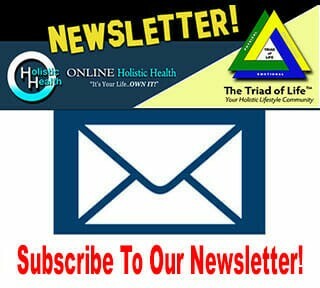 One of the most prolific diets of recent times is the Atkins diet. The famous Dr. Atkins noticed that he could eat a huge amount of foods that contained just proteins or fats and actually lose weight. For a short while, this stumped many nutritionists and scientists and became a calorie conundrum. How was it possible to lose weight while consuming extra calories? The answer was found in the difference in metabolic and hormonal responses from following a diet with no sugar and carbohydrates. Eating no carbs minimizes insulin levels and also requires extra energy (calories) to metabolize proteins into glucose (Gluconeogenesis) which can contribute to a calorie deficit and thus weight loss. 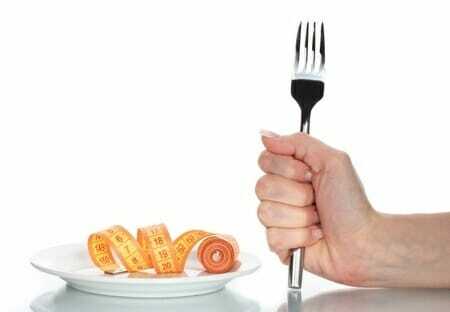 Data from various studies show that calorie restriction can actually lower resting metabolic rate (RMR) and thus preserve body weight. In order to counter a reduction in RMR you’d have to reduce food and calorie intake even further, which would probably lead to a further reduction in RMR. One study, in particular, showed that the effect of calorie restriction on resting metabolic rate actually decreases RMR. The Thermic Effect of Food is defined as the energy required to digest foodstuff, which is typically estimated at around ten percent of total caloric intake. Certain foods, such green cruciferous vegetables, are so calorie rare that the energy required to digest them vs. the energy they provide is often minimal. However, it is appropriate to note that there are NO NEGATIVE calorie foods. If this were truly the case, a person eating only “negative calorie” foods, for a long enough period, could risk death from starvation. Protein actually has a greater metabolic energy demand (Thermic effect) than carbohydrates or fats. In fact, the following study showed that postprandial thermogenesis increased 100% on a high-protein, low-fat diet versus a high-carbohydrate, low-fat diet. The bottom line is “calories in” plays a significant role in determining the actual “calories out”. 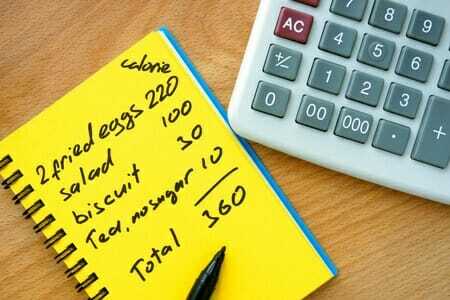 Hence, calorie counting for weight management and improved body composition is only part of the equation. A calorie is in no way a measure of health. Some calories can increase health while others can lead to disease. For example, calories from trans fats have a very detrimental effect upon the health and have been directly linked to heart disease, obesity, and diabetes. Furthermore, the human body is in complete polarity from a bomb calorimeter as it readily recognizes where calories come from. A Calorie from a protein, carbohydrate or fat each affects the metabolism in a different manner. One study, in particular, showed that two weeks of snacking based on peanuts does not cause the same negative metabolic effects as an isocaloric diet in which the snacking is based on short-acting carbohydrates in the form of candy in non-obese healthy subjects. EPIC- Interact is a European community funded a scientific project that researches and investigates how genes and lifestyle interact to lead to diabetes. EPIC-interact performed studies that show a direct correlation between diabetes and sugar consumption. 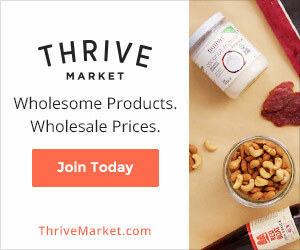 The data from their studies indicated that for every extra one hundred and fifty calories a person consumed, the prevalence of diabetes increased by only 0.1%. However, if those one hundred and fifty calories came from a can of soda (a sugar-sweetened beverage), diabetes prevalence increased eleven-fold to 1.1%. All calories are not equal. 5. Food labels are proven to be inaccurate. Studies show that calorie metrics on food labels are around ninety percent accurate. Thus, taking into account this ten percent error margin, an average person eating around a million calories per year could possibly over eat one hundred thousand calories per year! 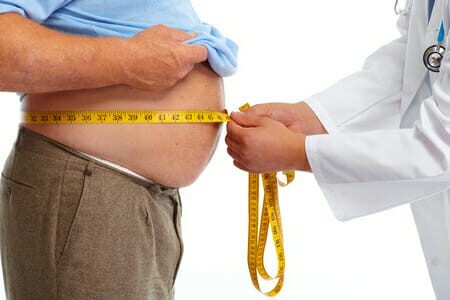 The average person does not gain thirty pounds or so of weight each year. All nutrients and calories are broken down by the digestive system. Digestion is a continuous cyclic mechanism of catabolic processes to enable nutrient absorption while eliminating leftover waste product. Digestion is far too complex a process to be accurately measured in calorific numbers. It is generally recognized that proteins, carbohydrates, fats, and fibre each have 4,4,9 and 2 calories per gram respectively. However, there is no food label metric that accurately specifies how much of each calorie is actually extracted or likely to be extracted. Even if food labels were proven to be 100% accurate, the actual calories utilized could significantly vary from the numbers presented on the label. Calories from sweet corn go largely unused with most of the corn passing straight through the human digestive system. The food label on a can of sweetcorn certainly does not account for this. Vegetables vary in digestibility and so do their constituent parts. For example, the leaves of some plants may be more readily digested than the stems. It is impossible to escape these differences, even in the same species of plant. The cell walls in younger plants tend to be more pliable than those in older plants and are therefore easier to digest. As a rule of thumb, raw foods require more energy to digest, and the nutrients contained in them are less accessible. Thus an isocaloric diet comprised of the exact same foods, raw vs cooked, would vary in calorie absorption. Essentially the cooked food diet would result in a higher caloric intake. Starchy carbohydrates such as those found in potatoes are mostly comprised of amylopectin and amylose. In their raw and uncooked state, amylopectin and amylose molecules are tightly packed and are virtually inaccessible to digestive enzymes. The heat energy from cooking “gelatinises” these starches, opening up the molecular structures and enabling digestive enzymes to readily break them down for absorption. Cooked starches, therefore, yield more calories and energy than raw starches. Gut health can also affect calorie and nutrient absorption. A digestive tract in optimal health can readily absorb foodstuffs and nutrients. Anyone who suffers from leaky gut syndrome, celiac disease, or just has below optimal gut health, will not absorb nutrients nearly as readily and efficiently. Some nutrients work in synergy and thereby enhance the absorption of other nutrients. Keep in mind that this is also true in the opposite. Some nutrients prevent other nutrients from being utilized and thus they remain unused and left to be excreted as a waste product. There are many factors that affect nutrient content and overall food quality. These variables give rise to a vast difference between foods of the same type. Factors such as time of the season, soil quality and other environmental variables all contribute to the nutrient content of foods. Thus all foods are not equal and even foods of the same type can vary in nutrient content and quality. For example, let’s compare wild salmon vs. farmed salmon. Salmon is a well-known oily fish; however, this is only due to its natural diet. Wild salmon feed on shrimp and krill which are naturally high in omega three oils. These shrimp and krill not only provide the salmon with a high count of omega three oils, but they also contain a compound called astaxanthin which gives them their “orangey colour”. Farmed salmon, on the other hand, are fed on man-made food pellets made from a mish-mash of feed including a mixture of smaller fish such as whitebait and herring, GMO soybeans, yeast, and chicken feathers. Artificial colourings are then added to these food pellets in an effort to replicate the natural “orangey colour” of wild salmon. You are what you eat as nutrients are passed down the food chain. A wild salmon is nutritionally superior to a farmed salmon, so do not be fooled into thinking that eating a farmed salmon is as good! If calorie counting is inaccurate – do you need to count calories to lose weight? Current and modern science teaches us that counting calories are not important and that we don’t really need to actively count our daily calorific intake nor try to manage our energy balance in order to lose weight. If counting calories were necessary it would also logically follow that we should monitor our consumption of other such nutrients that are essential to life. For example, humans would need systems in place to measure and monitor the input and output of essential minerals and vitamins. When was the last time you measured your intake of vitamin B1 vs. your output of vitamin B1? The human body has a series of complex in-built mechanisms and feedback systems for managing itself, including its intake of calories and other essential nutrients. In order to manage your weight, it is important to track macronutrient intake, eat nutrient-dense whole foods (not processed) and eat regularly. Keep it simple, it’s not rocket science!! 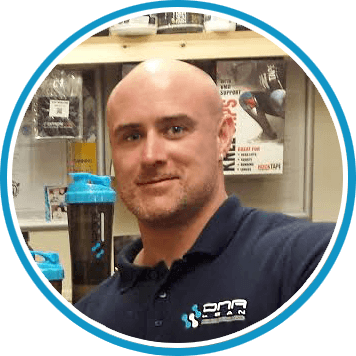 Don’t just count macronutrients, MAKE THEM COUNT! If it fits your macro’s (IIFYM) style dieting is a crude approach to nutrition and does not generally take into account nutrient profiling and health. Having a daily calorie goal and eating whatever you can as long it fits into your allowed calorie intake is a lazy approach to nutrition. This method allows one to regularly eat pizzas, burgers, ice cream, and any old junk. Eating any old junk as long as it fits a calorie allowance, will NOT improve your health, visceral fat, or your physique. Far more benefit can be reaped from measuring macronutrient intake and prioritizing nutrient quality rather than squandering time and energy trying to count calories. Some foods are more nutrient and calorie dense than others. For example, per gram, Almonds are highly calorific and typically contain around 600 calories per one hundred grams. Calorie restricted diets that focus only on the total daily calorific intake will often skip such nutrient dense and calorific foods. This type of approach does not take into consideration the health benefits of different foods and the essential nutrients they may contain that are vital to maintaining optimal health. Almonds for example, while being calorie packed, are a great source of essential fats, protein, fibre, vitamins, and minerals. Eating frequently is also of significant importance. Regular meals increase metabolic rate and function while eating less often and sporadically slows metabolic rate and function. A higher metabolic rate burns more calories and energy, and as you would expect, a slower metabolic rate burns fewer calories and energy. As a rule of thumb, it is more important to eat a balanced variety of nutrient-dense foods rather than counting generic calories. More importantly, eat organic non-GMO plant-based foods such as root vegetables, regular vegetables, fresh fruits, and nuts and seeds. It is particularly beneficial to include the holy trinity of fruits and vegetables: Avocado, Spinach, and Kale. These are known anti-cancer foods that help alkalize the body and are most definitely packed full of healthy micronutrients. Foods from these groups are all nutrient dense and contain a variety of essential minerals, vitamins, antioxidants, and other beneficial phytonutrients. Eating this way will not only keep you in good health but will also help support a healthy body fat level including lower visceral fat. 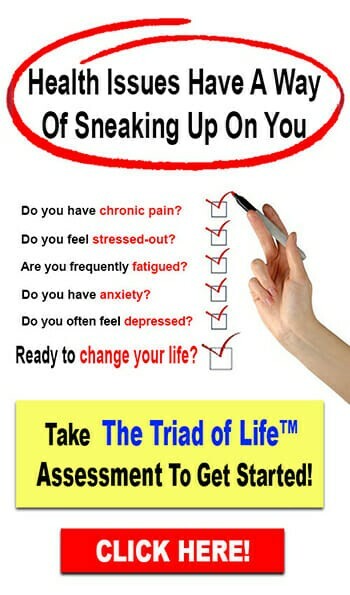 Further steps can be taken to stimulate metabolic rate such as using high quality thermogenic fat burning supplements. Ultimately calories refer to food consumption as there are no “calorie free” or “negative calorie” foods. Eat too much food and you will gain weight. It is therefore ignorant to say that calories don’t count; you cannot escape overeating. Needless to say, you can’t accurately count calories. 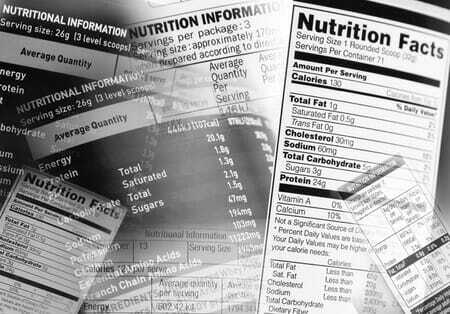 Food labels are proven to be inaccurate and calories indirectly affect calorie expenditure (calories out). Furthermore, as discussed, there are other factors that are significantly more important than overall calorific intake for maintaining health and weight. These factors more specifically help determine fat loss/gain, overall body composition, and health. Thanks for reading everyone! Please leave your comments below – I would love to hear from you all. Interested in more? We have something for you! 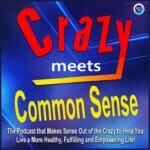 Check out Crazy Meets Common Sense Podcast: Are Different Diets Of Today: Healthy? Lifestyles? Fads or Just Crazy?